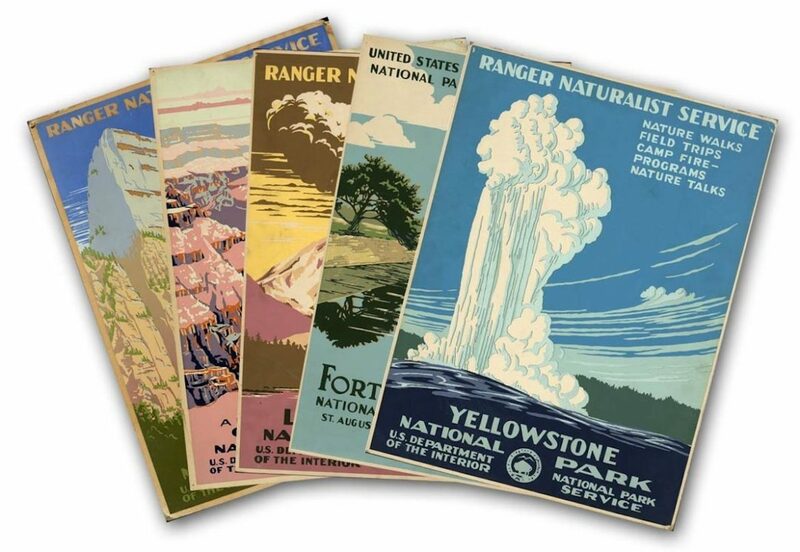 I love vintage travel posters and this set of five is from National Parks, circa 1938. The posters are printed on heavy stock, ready to frame and hang. $49.95. These suitcases for children are so adorable, I kinda wish I could use one. Select from a monkey, giraffe, unicorn, dog, lady bug, owl or a butterfly. The zipper for the monkey is a bunch of bananas. Prices start at $28. Paying for wifi in a hotel is one of my pet peeves. And it’s even worse when they charge per device. If I’m traveling with my husband, that would be six devices. Which, when I type this, sounds excessive, but I’m betting you’re right there with m. With this wireless router you can easily convert a wired network to a secure wireless one. It’s portable enough to take along on all your trips; $39.99. 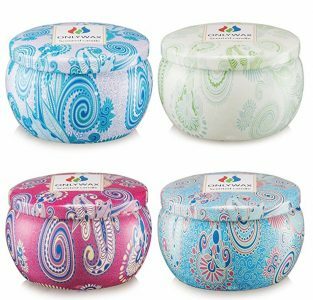 This cute four-pack of vegan soy travel candles come in these cute tins with scents of vanilla, lemongrass, lavender and rose for $15.98. These make an excellent hostess present as well. I’ve long been a fan of Baggallini bags for travel, as they are lightweight and durable. Plus they come with plenty of pockets for my phone, water bottle and other smaller items. 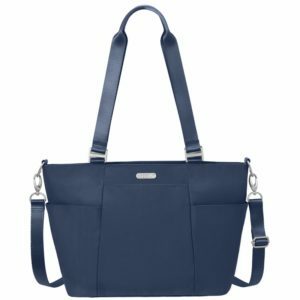 The Baggallini Medium Avenue Tote bag comes in eight colors. The Pacific color pictured is $49.99. These 3.3-ounce TSA-approved travel bottles are leak-proof and BPA-free. I like that they are each a different color so I can keep my shampoo and conditioner straight. Use the lanyard to hang your toiletries in the shower if you wish; $19.99. I wake up red-eyed in hotel rooms due to the lack of humidity in them. I’ve read tips to help, including hanging a damp towel in the room. But who wants to do that? 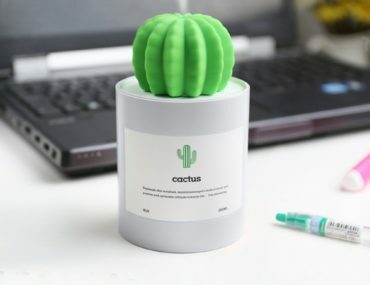 This cute cactus-designed portable humidifier doesn’t take up much space and instantly cheers up any space. The color will brighten up my hotel room, and ensure I don’t leave it behind; $14.99. No worries which type of adaptor you need when you travel overseas. This compact one from Kikkerland has got you covered for just $10. Slip this in the stocking of anyone who may be traveling overseas. My daughter made my own version of this from Christmas one year and it hangs in my office. I love keeping track of where I’ve gone, and plotting our next adventure. This map from Travelization is a scratch-off version, fun for kids and adults for $34.95. 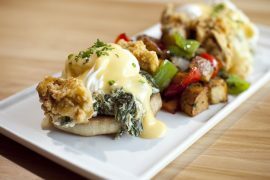 I haven’t tried this one yet, but love the look of it. This looks way cooler than the usual bulky u-shaped ones that are kind of a pain to carry around. This pillow is washable, folds down flat and is made of soft fleece; $29.99. Speaking of socks, I run up and down my stairs in mine all day and sometimes worry about slipping. These socks from Dead Soxy guarantee you’ll never slip. The company has socks in tons of styles for men, women and kids. Surprise the guy in your live with these dress socks that also have light compression. This pair is $21.97. 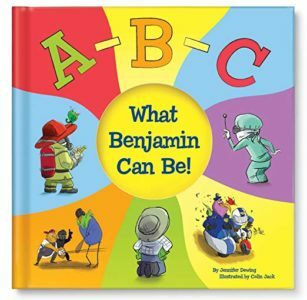 Made your child the star of their own book with a personalized book just for them. Maybe this isn’t technically a travel product, but wouldn’t you take this along on a trip to entertainment your little one and get them off the screen? $29.95. I love Matador products, and this compact blanket is a great gift for anyone who ever ventures outdoors. This tiny pouch contains a 44” x 63” blanket that comes with built-in, rustproof metal stakes to keep it secure even on the beach. Come is red and green for $43.50. 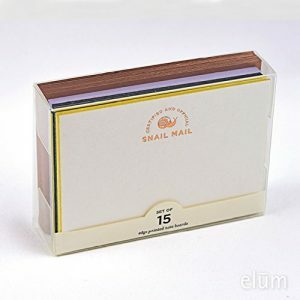 These adorable cards from Elum Designs include 15 thick note cards in lilac, navy and pear with metallic envelopes for $19.95. Because sometimes what you have to say is worth more than an email. Great for travel any time, and especially for visiting family who don’t have little ones, this portable booster seat folds down up to ten times smaller than a traditional booster seat. It installs in seconds and can even be cleaned in the dishwasher; $38. The secret’s out when you carry this adorable handbag from the fun company Alwaysfits. 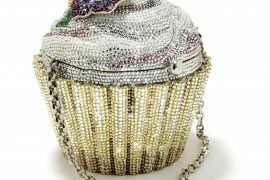 Check out the site for other bags shaped like flamingos, coconuts, rainbow and even a champagne bottle. The Secretly Smashed bag is $50. I love being on the water and near the water, but worry about my valuables getting wet. 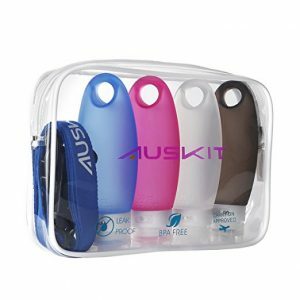 Take the Drift Wet Bag along and they will be safe, even from those unexpected waves or splashes. Made of laminated cotton, the interior has a waterproof lining. The bags come in four patterns for $30. 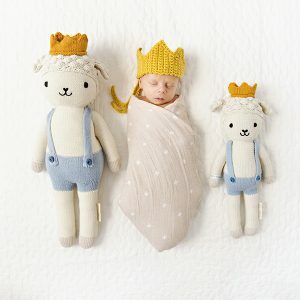 Not only are these plush hand-knit dolls adorable, for every one you purchase the company is able to feed 10 meals to children. Choose from a mermaid, unicorn, fox, a cat and more. They come in two sizes, starting at $48. After visiting Glacier National Park in Montana this past summer, I’ve developed an obsession with our country’s amazing national parks. Until I can visit more, I can learn about them with this Monopoly game with over 60 national parks and monuments; $32.60. Why go with a boring old luggage tag, when you can have one that makes a statement? I love this vintage one called America by K. Rowland for $11.98. 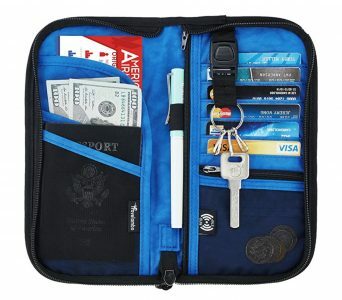 This wallet works for men or women, is lightweight and has RFID blocking for credit cards plus a pocket for your passport. It comes in eight colors, starting at $12.99. Please note that sometimes prices change. 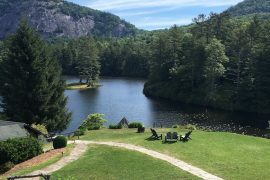 There are so many great travel product ideas here! Some I have, others I don’t. I love the RavPower File Hub Plus Wireless Router; I may order one. Some great ideas for gifts! 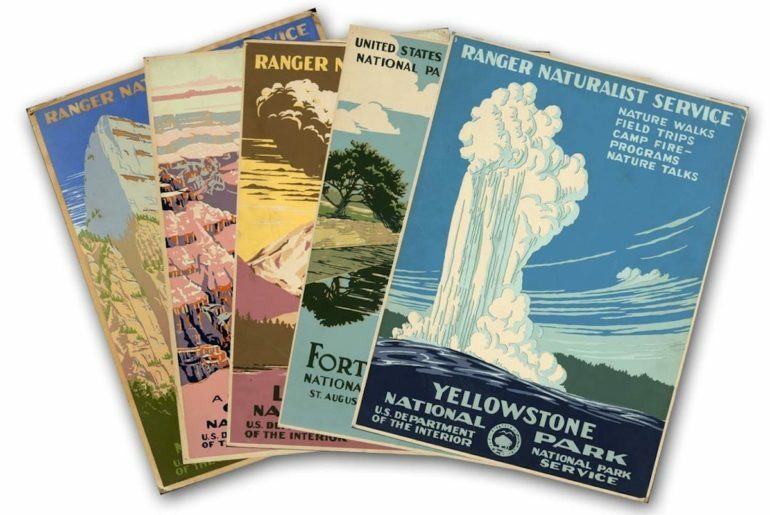 I, too, love vintage travel posters!